Earlier this year, a story came out about an Oregon pharmacist who was accusing Walmart of firing him for his disability. The disability: substance abuse disorder. The suit notes that Doran was diagnosed in 2007 with a disabling medical condition: "Addiction is recognized as a serious health condition by the medical profession (Substance Abuse Disorder), and is a recognized disability under federal and state laws." 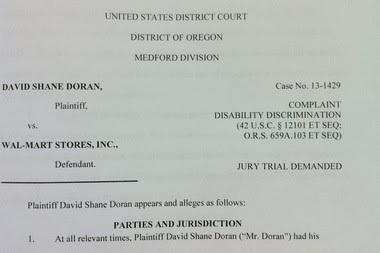 David Shane Doran filed a federal lawsuit in Medford on Thursday that accuses Walmart of violating the Americans with Disabilities Act.